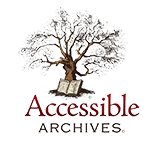 Discover what our collection has to offer and search across several of our databases for direct access to full-text articles, videos, music and more. Stream documentaries, award-winning educational films, and instructional videos. 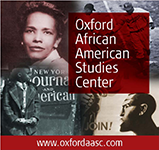 Articles on African American history and culture; includes slave narratives. 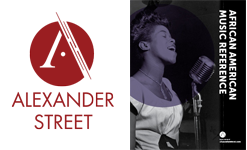 Essays and images on blues, jazz, spirituals, civil rights songs, slave songs, minstrelsy, rhythm and blues, gospel and other forms of African American musical expression. Biographies, maps, images, and timelines of African American life, history, and culture. Obituaries and death notices from hundreds of U.S. newspapers. 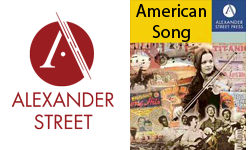 Stream music from America's past including songs about Civil Rights, political campaigns, Prohibition, the Revolutionary War, the Civil War, anti-war protest and much more. Variety of art topics from fine, decorative, and commercial art to photography, folk art, film, and architecture. Learn about the people who make history. Searches can be based on name, occupation, nationality, ethnicity, or gender. Fun and engaging online videos teaching math and science. Supports high-school age curriculum. Comprehensive research tool and fact-checked online encyclopedia with hundreds of thousands of objective articles, biographies, videos, images and more. Intended for high school students, complete with dictionary, atlas, and timelines. It is the perfect resource for native speakers, bilingual students and students learning Spanish. Britannica Escolar Online está diseñado específicamente para las edades de 6 a 12 e incluye artículos, imágenes, videos y un atlas. Find information for homework and school projects by reading level, grade, and age. For elementary, middle, and high school students. Research and analyze companies, industries, and economies around the world. 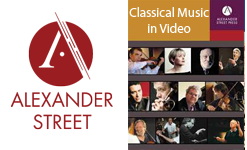 Stream classical music performances, masterclasses and interviews with master teachers from around the world. Stream music from the earliest times to the 21st century. 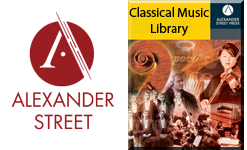 Learn more about the history of western classical music. 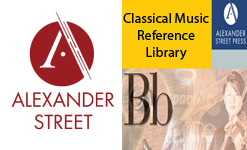 Includes titles such as Baker's Dictionary of Music, Baker's Biographical Dictionary of Musicians, and Baker's Student Encyclopedia of Music. Find and print more than 45,000 classical music scores covering major classical genres and time periods from medieval to contemporary. Contains full, study, piano and vocal scores. Research thousands of products with test results, ratings, recommendations and buying guides. For more information visit our Consumer Reports guide. Stream music from every continent. 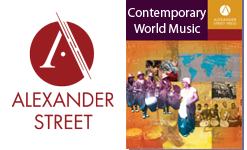 Includes genres such as worldbeat, Balkanic Jazz, African Film, Bollywood, Arab Swing, fado, flamenco, klezmer, zydeco, gospel, gagaku and more. The District of Columbia Municipal Regulations is a compilation of the rules and regulations issued by District agencies and the Council of the District of Columbia. Stream dance productions and documentaries by the most influential performers and companies from the 20th Century. 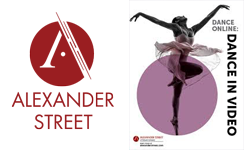 Includes ballet, tap, jazz contemporary, experimental and modern concert dance. Contains high quality data and easy to use tools and applications. Generated by the Executive Branch of the Federal Government with contributions from 172 federal agencies, developers, analysts and citizens across the nation. Access demographic reports on any geography for information including income, race, age, education, retail spending, businesses and more. Dig DC is your portal to selected digital collections from DC Public Library Special Collections. Find photos, maps, oral histories and more documenting the history of Washington D.C.
Maps, images, videos, full text articles, and eBooks for your research project. Designed for K-12. Research current academic topics by subject, document type, or publication. Images from the Justice Department and FBI's investigation of African-Americans deemed politically suspect. Learn more about the Civil Rights Congress (CRC) involvement in civil rights and civil liberties. Download and stream music twenty-four hours every day from popular music labels such as Sony Music. For more information visit our Freegal Music guide. 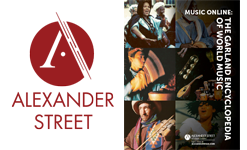 Learn more about the music of the world's peoples. Contains regional information, survey of musical heritage, traditions and themes. Search articles in a wide range of general and academic topics. International viewpoints on a broad spectrum of global issues, topics, and current events. The District of Columbia Public Library serves as a Federal Depository Library. 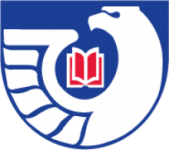 Depository libraries serve the public every day by providing free access to a wealth of U.S. Government digital information products. Historical documents, biographies of historical figures, and historical photos, maps, and videos. Images from the world’s leading collections including Getty Images, National Geographic Society, and National Portrait Gallery of London. Una colección de revistas hispánicas con textos completos. 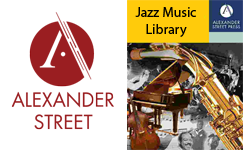 Stream music from every jazz genre and time period. Everything you need for a successful job search. Explore occupations, search for jobs, create resumes, and improve skills. 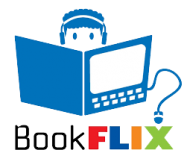 Stream popular children videos and TV shows including Sesame Street, Arthur, Reading Rainbow, Daniel Tiger's Neighborhood, Franklin and more. Stream 30,000+ films from collections such as The Criterion Collection, as well as thousands of independent filmmakers. For instructions visit our Kanopy guide. Stream a selection of educational and enriching videos on Kanopy Kids with developmentally appropriate, age-based ratings from Common Sense Media. 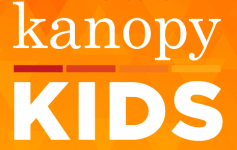 For instructions visit our Kanopy guide. A free online resource offering practice exercises and videos in math and science. Videos for Kindergarten through High School. 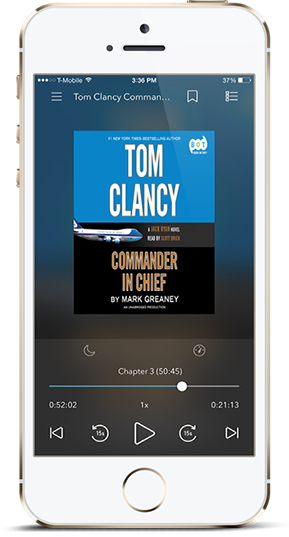 Language learning audiobooks in multiple languages, including Spanish, German, Italian, Japanese, Arabic and English. For instructions visit our OverDrive guide. History and culture of Latinos. Includes maps, images, audio clips, interviews, music files, speeches, documents, and other material in English and Spanish. 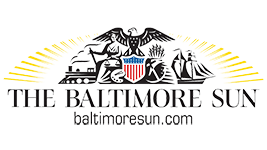 Provides customizable standard legal forms specifically drafted by attorneys for the District of Columbia. Biographies, literary criticism, and reviews on writers of all disciplines, from all time periods, from around the world. Learn business, software, technology, and creative skills to meet your personal or professional goals. For instructions visit our Lynda.com guide. 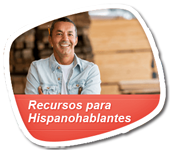 Learn new languages and cultural skills. For instructions visit our Mango Languages guide. Little Pim is a fun and interactive way to introduce a child to new languages. National Library of Medicine’s database of health information. Includes information on over 750 health topics, drugs and supplements, medical encyclopedia, dictionaries, interactive tutorials, and surgery videos. MedlinePlus tambien le ofrece mucha informacion sobre medicamentos, una enciclopedia medica ilustrada, programas interactivos para el paciente y las mas recientes noticias acerca de la salud. Complete archive of the Mergent/Moody's Manuals of corporate and securities information from 1909-present. Business descriptions, corporate histories, and financial statements from active and inactive U.S. and international public companies. Updated daily. Earn Your Northstar Digital Literacy Assessment (NDLA) Certificate. Get English language definitions, origins, and history. 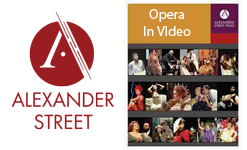 Stream opera performances from staged productions, interviews and documentaries. The entire 34 volumes of The Dictionary of Art, including updates of text and over 22,000 links to art images in galleries and museums around the world. 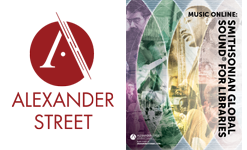 Authoritative resource for music research. A service of the U.S. National Library of Medicine that includes over 16 million citations from MEDLINE and other life science journals for biomedical articles back to the 1950s. Interview transcripts of individuals who made history during the Civil Rights Movement. Research and analyze U.S. public and private businesses by geography, sales volume, industry, and size. 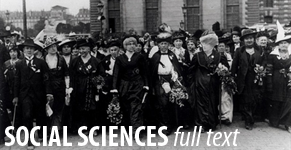 Research cultures, history, science, and social issues for students in grades 6-8. Current and up-to-date science topics. For middle school and high school learners. Resources to help you start your new business. 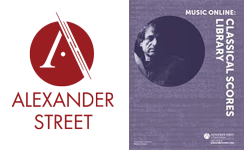 Stream over albums from a virtual encyclopedia of the world's music and aural traditions. Includes Smithsonian Folkways albums. Learn about human society and social relationships. Research content for high school students. Browse topics to help with papers, projects, and presentations. Learn something new with Universal Class. Continuing education credits available. For instructions visit our Universal Class Guide. Discover American history from pre-colonial times to the present. Get the tools to make profitable investment decisions. Feature films, classic films, documentaries, children’s videos and more available for online streaming.